This statistic shows the annual B2B e-commerce sales of manufacturers in the United States as of the first quarter of 2018. 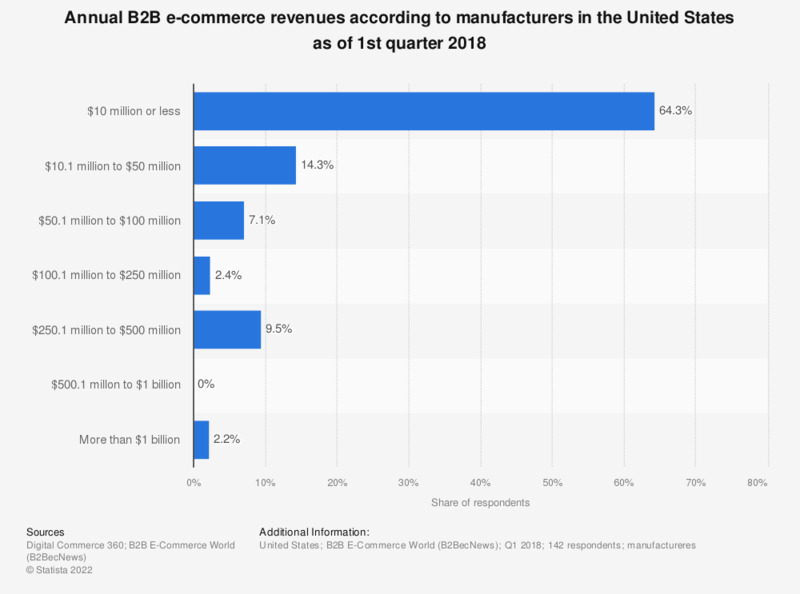 During the survey period, 64.3 percent of respondents stated that their annual B2B e-commerce sales amounted to ten million U.S. dollars or less. Only 2.2 percentage of manufacturers generated more than one billion U.S. dollars in annual B2B e-commerce sales. Original question: What are your annual B2B e-commerce sales?